At Culcita we like to keep our outdoor furniture up to date and bang on trend. Our show room is full of beautiful solutions to your outdoor dining needs. New samples and styles of outdoor furniture are constantly arriving at Culcita and these are put out on display. The most popular ones are retained for out loyal customers and the surplus is put up for sale. Popular lines in outdoor furniture are kept running for a few seasons but in order to keep our selection fresh, we will have some end of line items. similar to our samples, we would like to offer these end of line outdoor garden furniture up for sale. 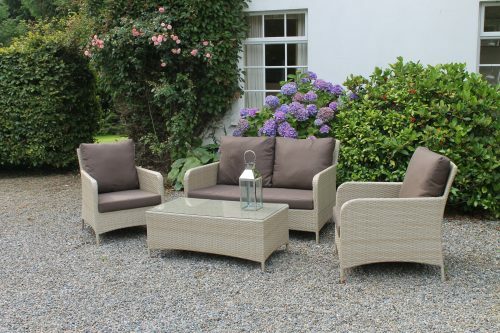 It is very important to us here in Culcita to always keep an eye on what is popular in the current outdoor garden furniture market and we pride ourselves on sourcing the very best there is!